Do you remember back in the 90s when the tamagotchi toys were popular? Around that same time, a new product surfaced called Neopets. I remember growing up seeing both of those toys everywhere. 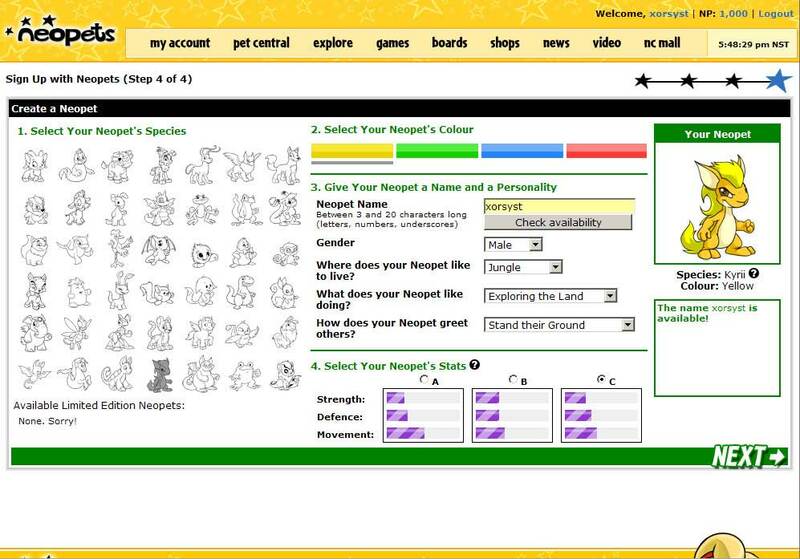 In 1998, they launched an online version of Neopets that has been popular ever since. As of May 2006, Neopets has registered more than 100 million accounts worldwide, and hundreds of games to play along with your Neopets. So after a little coaxing by a few people, I decided to write a Neopets review. I’m a big fan of online games, and while I may have not given Neopets a second look yesterday, I was surprised by what I found. If you came here looking for tips, tricks, and cheats, scroll down to the bottom. Now onto the review! As with any online game, the gameplay focuses around gaining currency called Neopoints. With Neopoints, you can buy weapons for your pet to fight other pets and players in the battledome. If PVP isn’t your thing, you can also spend Neopoints on changing the color of your pet, and purchasing a NeoHome. Gaining Neopoints is very easy, as many of the games you will be playing offer Neopoints as a reward. You can also gain Neopoints by selling items in your own virtual store. 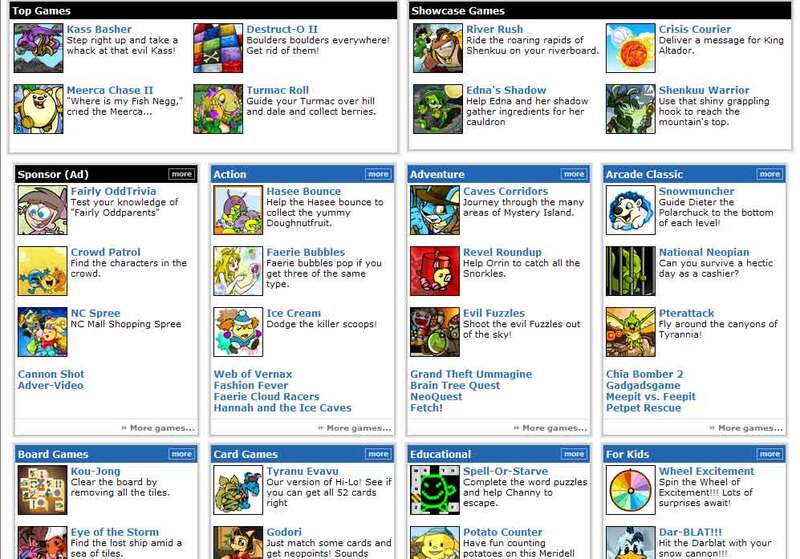 There has been a lot of criticism directed at Neopets about the user store feature. Many members complain that users with fast computers and internet connections have an advantage at the stores. What a “fast user” will do is buy as many items from the Neopets store as he can buys (which sells out rapidly, and restocks every 15 minutes) and then sells those items in his or her own shop at a high markup. You may think that Neopets is a kids game, but it was initially marketed towards 18+ college students as a place to hang out when not in classes. The Neopets community is the reason why this game has survived for so long. The developers are known for listening to members, and asking for their recommendations and advice. Also, unlike many online games that get sparse updates, the Neopet developers are always adding new content, stories, and events. 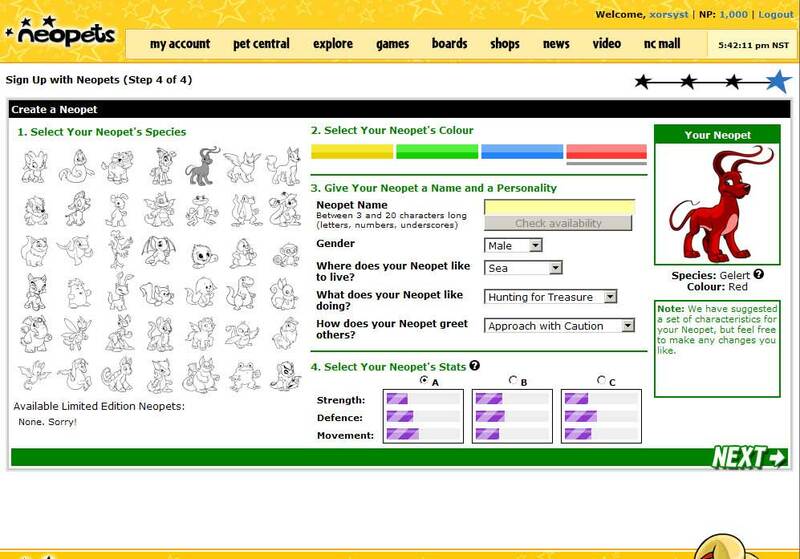 Neopets was set up so that it can be played on almost any computer. The graphics are flashed based, and will run on any current browser. They are very colorful, and fit into the whole Neopets theme of fun, friendly, and really eye-catching. Everywhere you look, colorful images fill the page. Its a bit overwhelming at first, but for the younger generation (who seems to be their biggest users, I’m sure they love it). 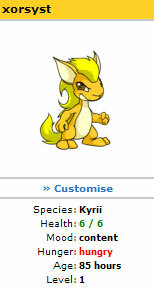 One thing that I like about the Neopet characters is that they look unique. You can tell its not just color difference, but actual unique characters. When you go to create your new character, you are presented with 42 different character designs to choose from. From there you can change the color, gender, stats (Strength, Defense, Movement). One positive thing to say about Neopets is that it is very hard to be bored on their website. With over 100 different games to choose from, you should find something to do to pass the time. You don’t have to be a member in order play the games, but your stats wont be saved. A few of the popular games, and easy on the computer load, are Kass Basher, Fashion Fever, Meerca Chase II, and Trouble at the National Neopian. When you first click the games area, you are presented with 48 different games in 16 different categories. Its easy to be overwhelmed, but just click around and try out a few. You also have 16 different Neopet lands to discover. Each land looks uniquely different and has different areas to discover. With the option of fighting in the Battledome, members with a thirst of winning against real people will always have something, and someone to beat! If cute, colorful games are your thing, Neopets is definitely for you. Hundreds of games, a lively user community, and very addictive are only a few reasons to give Neopets a try. While it wont replace your World of Warcraft addiction, if you’re in class and need something to do during a boring professor’s lecture, Neopets is your game. Check out the testimonials from the Press, Parents, Teachers, and members over at the Neopets press kit site.